Cream to powder with a light velvety texture. This ultra-smooth foundation provides light to medium coverage with a flawless matte finish. 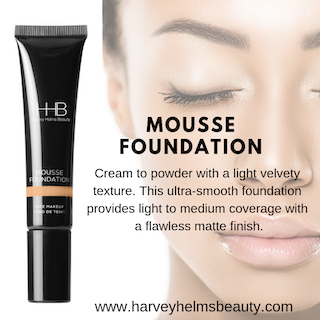 Our mousse foundation visbly reduces the appearance of fine lines without drying out the skin.